Can you explain what's protected by copyright when a newspaper or television or radio station reports facts about the news? How can we expect the news to be balanced and fair unless certain broadcasters get to own some of the facts that they investigate and report? After all, running a network costs money! The Doc fully understands your concern. It must cost a lot to produce all of those fancy graphics that tell viewers that the world is ending and that the President is a communist! Seems like the you should have a copyright to protect your investment, and that others shouldn't be able to use it without your permission, doesn't it? There has always been a tension between copyright and the First Amendment when it comes to news. On the one hand, it costs money to gather and report the news, even though it's just a bunch of facts (or, at least we hope that what you broadcast contains at least some facts.) On the other hand, copyright protects creative expression, and has never legally protected facts, which are free for anyone to reproduce. That's why things like telephone directories and vote totals are not copyrightable under US law. To try to walk a thin line between these two principles, courts came up with the "Hot News" doctrine. Under that approach, used mostly in New York, news, even factual news, was protected (but not by federal copyright) from poaching for a short time while it was "hot" or "fresh" because courts recognized that it took effort (they called it "sweat of the brow") to gather and publish the news quickly ("Extree, Extree! Read All About It!). In September, Fox News Network (you've heard of them?) sued a company called TVEyes for copyright infringement. TVEyes records more than 1,400 television and radio stations, 24/7, and using computers, provides a searchable database of every word that is said on-air. They also provide more than 2,200 subscribers (including the White House, members of Congress, media companies, financial companies, trade associations and others) with clips, transcripts, and analysis. Subscribers have to agree not to rebroadcast anything they get from TVEyes. Fox News claimed that recording by TVEyes infringed Fox's copyright, and they wanted an injunction to stop TVEyes. TVEyes responded by saying that what they are doing is "fair use" under §107 of the Copyright Statute. So Ben, the case goes on in some small way, but for the big issues, it's effectively over. TVEyes use is fair. The interests have been balanced. And all the news that fits, LW&H prints. If you'd like to know if your use of someone else's content is fair, call the attorneys at LW&H. When it comes to fair use, they're the fairest in the land. Do you remember the Turtles? They were the originators of such memorable hits as "Happy Together," "It Ain't Me Babe," and "She'd Rather Be with Me." The band was formed in 1965 and by 1970 was on the decline. You may think that when the Turtle's hits were recorded they were protected by U.S. copyright law from unauthorized performances. You may not know, however, that copyright law did not protect sound recordings until 1972 at which time Congress provided federal copyright protection for sound recordings made only after February 15, 1972. Keep in mind we're talking about the recordings not the music and lyrics, which still enjoy copyright protection. As you can imagine, the body of sound recordings in the pre-1972 era is vast and radio companies such as SiriusXM, relying on U.S. Copyright law, broadcast these recordings royalty free. According to one report, SiriusXM transmits thousands of pre-1972 recordings on a daily basis. So, Instead of broadening copyright law, Congress left it up to the states to protect earlier sound recordings, a strategy that was blessed by the U.S. Supreme Court in the 1973 case of Goldstein vs California. In Goldstein, in which petitioners were charged with the unauthorized duplication of recordings of performances made during the pre-protection era, the Supreme Court held that state statutes, in particular those of California, which sought to protect pre-1972 sound recordings, were constitutional and did not impinge upon the federal authority to regulate copyrights. Now back to the Turtles. Representatives of the band, Flow & Eddie, have filed class action suits against SiriusXM for infringing their state rights by playing Turtles sound recordings over the air. They rely on state law claims for misappropriation, unfair competition, conversion and other causes of action. Flow & Eddie filed similar claims in California, New York State and Florida. In September, a federal judge in California found SiriusXM liable for infringement under California state law, which SiriusXM intends to appeal. Most recently, on November 14th, the U.S. District Court for the Southern District of New York denied SiriusXM's motion for summary judgment of non-infringement on grounds that The Turtles have performing rights to their pre-1972 recordings under New York state law. Clearly, these cases demonstrate a trend in the law, which will protect pre-1972 sound recordings, perhaps, engender more state legislation in this area, and will undoubtedly increase the cost of a SiriusXM subscription. The Internet-enabled business method patent just clutched its chest and fell over dead. The cause of its demise is the Ultramercial v Hulu (Fed. Cir. 2014) case in the Court of Appeals for the Federal Circuit. The Ultramercial patents address a typical Internet-enabled business method. Under the patents, a consumer agrees to view an advertisement and then is allowed to see or hear copyrighted text, audio or video for free over the Internet. The provider tracks the number of times the advertisement is displayed and receives payment from the advertiser. Bah, you say - how could that invention ever be considered patentable? Well you might ask, but this is the third time that the Federal Circuit Court has considered the same case. In the first two iterations, the Federal Circuit found the Internet-enabled invention to be patentable subject matter. Both prior cases were reversed by the Supreme Court and sent back for further consideration. This time, the Federal Circuit bowed to the inevitable and followed the Supreme Court's decision in Alice v CLS Bank and determined that the invention is abstract (and hence not patentable on its face) and that none of the technological steps in implementing the invention 'transformed' the non-patentable abstract idea into a patentable invention. The patent owner argued that the Internet-based advertising system was patentable subject matter because it was new - no one had ever delivered content in this manner before. You, astute reader, are squirming in your chair and pointing out that patentable subject matter (controlled by §101 of the patent statute) is a completely different issue from whether an invention is new; that is, whether the invention is 'novel' under §102 of the statute or 'obvious' under §103. You are correct; however, we may forgive the patent owner on this point. The Supreme Court, in its usual ham-fisted approach to patents, blended patentable subject matter, novelty and obviousness in its recent decisions, finding that inventions were not patentable subject matter apparently because they were not new. 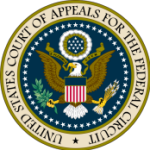 The Federal Circuit in Ultramercial considered that novelty was a factor to be considered, but did not convert the abstract idea into a patentable invention. A concurring opinion by Judge Mayer would go further. He believes that the Supreme Court has imposed a 'technological arts' test for patentable subject matter. He would exclude 'entrepreneurial' inventions directed to business, law and the social sciences. The bottom line: don't count on patent protection for that Internet-enabled business idea that you're eager to launch.